Deal has expired, view the best current savings bonuses by clicking here. Keep in mind this now contains the new two year language. 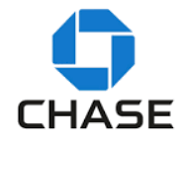 Chase is offering a bonus of $225 when you open a new Chase Savings account and deposit $15,000 or more in new money within 20 business days of account opening and maintain that balance for 90 days. Savings offer is not available to existing Chase savings customers, those with fiduciary accounts, or those whose accounts have been closed within 90 days or closed with a negative balance. To receive the bonus: 1) Open a new Chase SavingsSM account, which is subject to approval; 2) Deposit a total of $15,000 or more in new money within 20 business days of account opening; AND 3) Maintain at least a $15,000 balance for 90 days from the date of deposit. After you have completed all the above requirements, we’ll deposit the bonus in your new account within 10 business days. The bonus is considered interest and will be reported on IRS Form 1099-INT (or Form 1042-S, if applicable). Have a linked Chase Premier Plus, Chase Premier Platinum Checking or Chase Private Client checking account. If you have an extra $10k on hand, you’ll earn the equivalent of a 3% APY rate on the extra $10k by doing the $300/$25k offer instead of doing the $225/$15k offer – up to you if it’s worth it. You can also do a $300 checking offer as well if you’re interested. We’ll add this best savings bonuses, alongside the above-mentioned $300 savings offer. Of course, I just opened the $200 last week, bah! Same, should I wait until my bonus hits 3 months from now to bring up this other promo for $25 more? The $300 offer also expires August 6. Thanks, I’ll update the other post. You see that at the link or the post or you got a targeted email offer? I called the Moline IL branch 300+ miles from me. They verify that I CAN do this in branch. I have a PO Box in California but they need an actual street address. Opened 300-bonus Total Checking online in March. Could not open this online this time. Tried both logging in and manually inputting address. After reading some reddit comments, tried VPN with a NY-based IP address, but still no dice on either this $225 link or the other 6/11 $200 (+$300 checking) link. Guess that March link that worked for so many was really a unicorn. Did not work in NC. Using incognito mode and tried two ways: 1) saying no to existing customer and filling in the form, and 2) saying yes to existing customer and providing my Chase credentials. Either way .. product not available. Wondering if there is a way to do the 300 checking and this 225 savings online at the same time with a different coupon code for each entered….anyone tried? Just do them separately, you don’t have to do the combo to get the full $500 bonus with the $300 checking. Not available in my region. I’m in Nashville, Tennessee. Important:We can’t open this type of account for you. When I try to sign on to this offer it will only take initial funding from a Visa or Mastercard, however it won’t accept any of my cards. Has anybody else had this experience? Seems it’s debit card only, let me update the post. Was calculating the effective interest rate for the Chase Savings accounts and realized that this $225/$15K is now the same rate as $150/$10K rate. If Chase keeps up the math, we may see the $300/$25K bonus upped to $375/$25K.. One can only hope. Got this account open in branch New York office. CS said had never seen the $225 coupon before. Also did the $300 premier checking.